Comikrew Studio For December 2012 and beyond !! Hi, guys !!! Happy Thanksgiving to everyone !! Hopefully everyone is enjoying their holiday. 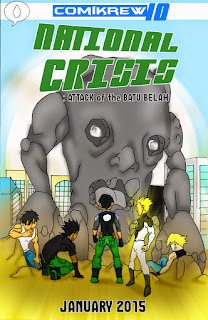 Few weeks ago, Comikrew Studio reached the end of the first stage for Countdown 2 National Crisis Arc which at the same time marked the beginning of CHU. Though we are currently on hiatus, we do say to wait for update from us right? Today, we give you'll some update on what to expect for December 2012 and beyond !! DECEMBER 2012 Before the end of the year 2012, and most probably the world... We present to you printed version of Aoi's Love Diary and National Crisis : The Beginning #1. Not only that, another chapter for CHU 0RIGIN will be also available on that month; NightMoth. So, thanksgiving holiday is getting near for those who are not in Malaysia while I think its school holiday right now in Malaysia. I guess its the best time to put away all our work and go for a movie time once a while isn't it? For me, the best movie to watch at the time like this is a movie that you can watch with your family and I suggest to you all this ; Wreck - It - Ralph which I consider the best animation movie of the year. Before you continue to read the review, I warn you there might spoiler along the way, SO DON'T READ if you don't want to ruin your excitement. Okay ? The Spade #2 is out at MangaMagazine !!! CHU continues this week with The Spade #2 !! With that marked the end of first phase of National Crisis chapter 0RIGIN. 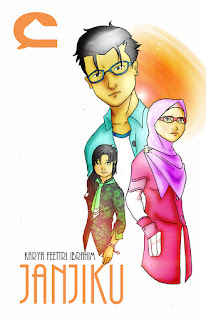 Want to read the conclusion of the birth of The Avengers of Love ? Click the picture below to read !! Damien returns to investigate the supposedly-solved Aoi's murder caseWill Agarashi Takahama be punished for the crime he had done.What actually happened to Casey ? Did he survived ? 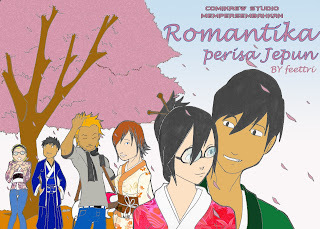 Starting from next week, Comikrew Studio will be on hiatus until a future date. Continue to check the blog and website for the update on when the next comic gonna come out. So, what do you think on the end of The Spade ? Sound off your thought at the comment section and don't forget to become a fan of Comikrew Studio !!! HAPPY THANKSGIVING !! 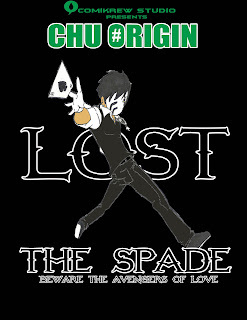 Last week marked the beginning of CHU which everyone has been waiting all this time with the origin of The Spade #1. Coming out next week, here is the first look of The Spade #2 !!! So what do you think gonna happen ? The Spade #2 will be out at MangaMagazine.Net next week. 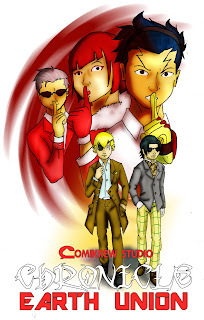 Don't forget to check it out and be a fan of Comikrew Studio !!! Sound what you think about The Spade in the comment section ! !